Bring the splendor of the Italian countryside indoors with this rope-edged dinnerware in a rich, earthy glaze. Well-crafted of stoneware, it's sturdy enough for everyday use and elegant enough for entertaining all year long. 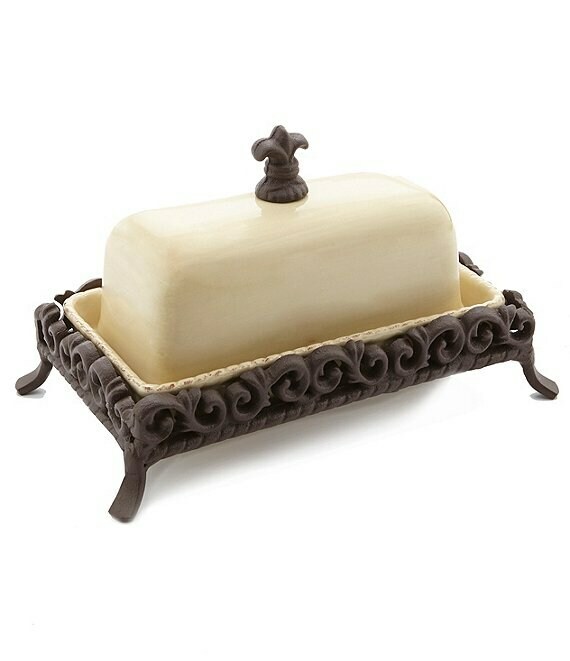 This covered butter dish measures approx. 9" and is dishwasher and microwave safe. Imported.